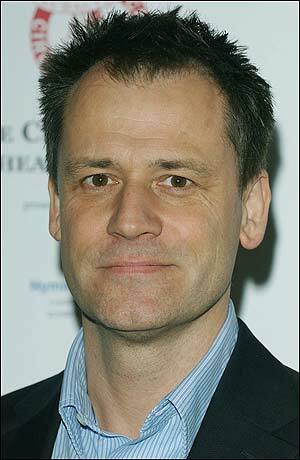 The showstoppers will all be brought out in Artistic Director Michael Grandage’s final year at the Donmar Warehouse. The newly announced season at the highly regarded London theater company includes two classic revivals and the star talent that is usually prevalent at the Donmar. Jude Law will headline Eugene O’Neill’s powerful drama Anna Christie as Mat Burke, along with British actress Ruth Wilson as the title character. Being directed by Rob Ashford (Promises, Promises), the play will run from August 4-October 8. Law last collaborated with Grandage in the sold-out revival of Hamlet that ran both on the West End and Broadway. I’m hoping Anna Christie will transfer to Broadway as well. The next play on the roster will be Inadmissible Evidence starring Tony and Olivier Winner Douglas Hodge (La Cage aux Folles). The drama by John Osborne concerns a middle-aged lawyer, Billy Maitland, struggling to avoid the harsh truths of life and keeping a hold on reality. As those closest to him begin to draw away, he puts himself on trial to fight for his sanity. The play is to be directed by Donmar Associate Director Jamie Lloyd from October 13-November 26. Richard II will also reunite Grandage with Eddie Redmayne for the final Grandage-directed production. Both worked on the excellent Mark Rothko bio-play Red. The play was a huge favorite among critics and audience members that resulted in 2010 Tony Awards for Best Play and Best Featured Actor for Redmayne. The Shakespearean king to be played by Redmayne will run a term from December 1, 2011-February 4, 2012. Sounding like a fantastic triple-play, here’s to all three shows making it to New York sometime! Michael Grandage is an award-winning director–winning everything from the Olivier to the Tony–that producers wouldn’t think twice about investing in and bringing to the U.S. In addition to Red, his other directing accomplishments include Mary Stuart, Creditors, Ivanov and Frost/Nixon.